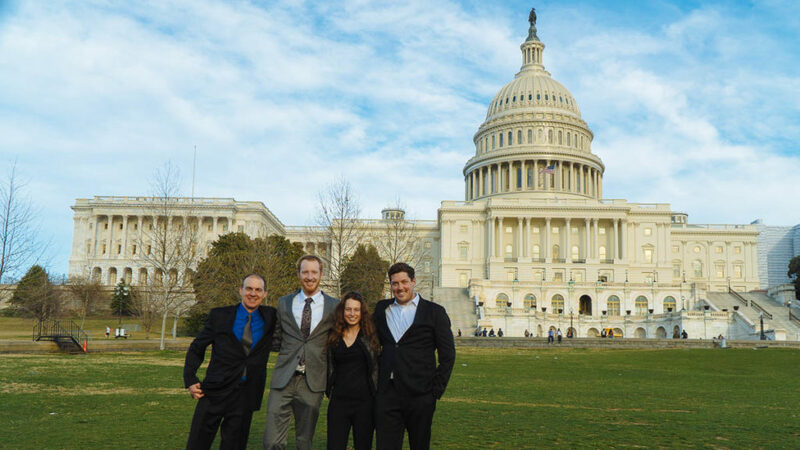 In March 2019 I traveled to Washington D.C. to meet our representatives for the Kalmiopsis Guides Association. 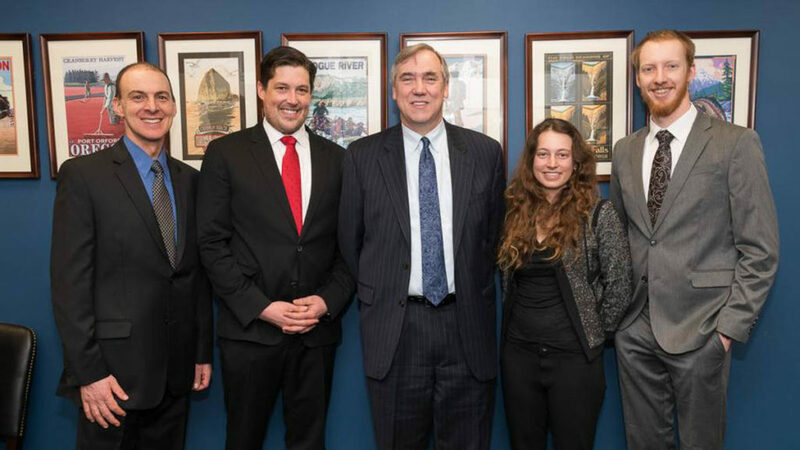 With the goal to discuss the recent public lands package and future protections for the South Kalmiopsis, we arranged constituent meetings with the Oregon and New Mexico delegation, as well as nonprofit organizations. I met Congresspeople from both sides of the aisle, building groundwork for future protections, talking about the importance of the recreation economy, and relating my own experiences as a guide in wilderness. This year is already notable for the Kalmiopsis Wilderness due to the John D. Dingell Act, which permanently protected the Chetco River from mining. Representing a decade of hard work and backed by Oregonians, this provision was a huge step in recognizing and preserving a few more beautiful spaces throughout the state. In our own meetings we personally thanked our Senators and Representatives for supporting the bill. It was a great opportunity to share stories about our own experiences on the Chetco River, how and why we value this area. In sharing our stories, we also talked about the rivers and the watersheds that still deserved protection, especially in the South Kalmiopsis. While the three main rivers (Chetco, Illinois, North Fork Smith) are all protected under the Wild and Scenic Act, a few tributaries (Rough and Ready, Josephine, and Baldface Creeks) remain vulnerable. Pollution, dams, or development along these areas could still negatively impact the main rivers as they flow into the ocean. For the Chetco River, which provides clean drinking water for Brookings and Harbor, this becomes especially important. We hope that Congress will expand protections in the South Kalmiopsis Roadless Area by promoting it to Wilderness and thus permanently protect these tributaries. In addition, we continued to advocate for the Kalmiopsis’ neighbor by discussing a potential Rogue Wilderness Area around the commercial multi-day section of the Rogue River. The land around the top 30 miles of the Rogue is managed by the BLM but is not protected from short-term development that would affect recreation on the river. While it was close to being included by the final draft, the Rogue Wilderness package was not signed into law. In Washington D.C. we had a good conversation with Representative Greg Walden about what it would mean to include a Rogue Wilderness for southern Oregon. I learned a lot from physically meeting congresspeople and their aides. Many Congressmen and women have coffee sessions in the mornings where they can meet constituents personally and get an idea of what people are passionate about. Other times it was as simple as sending an email or contact form to make an appointment one-on-one. Sometimes we met with their aides and other in some meetings we got personal attention from a Congressman. I got a better understanding of how they do their work up on the Hill, and how important it is to make your opinion heard so that they understand what happens in their own state. Democracy at work. Freshwater is fundamental: in some countries certain bodies of water have the same legal rights as human beings. In New Zealand, The Whanganui River in the North Island has representatives from the native Maori people to speak for its needs in government. In India, the Ganges and Yamuna Rivers are considered to have the same rights as humans. Finally, in Toledo, Ohio, citizens recently gave Lake Erie (which provides drinking water for 12 million people) a Bill of Rights. While the rivers in Oregon do not yet have such standing, they are just as important. It was a privilege to be able to advocate this year for this area not only as a guide, but also as a representative for the Kalmiopsis rivers themselves. I am a Northwest Rafting Company Guide from Albuquerque, New Mexico. Rivers are my religion and I am passionate about running, studying, and playing on them. !